My friend Ivana celebrated her birthday on Thursday and I wanted to make cupcakes for her. She has a passion for cooking and anything to do with food and she sells in the Tool Shop the most brilliant Staub cooking pots in the most delicious colours. No excuse for not wanting to cook every night with these gorgeous pots. 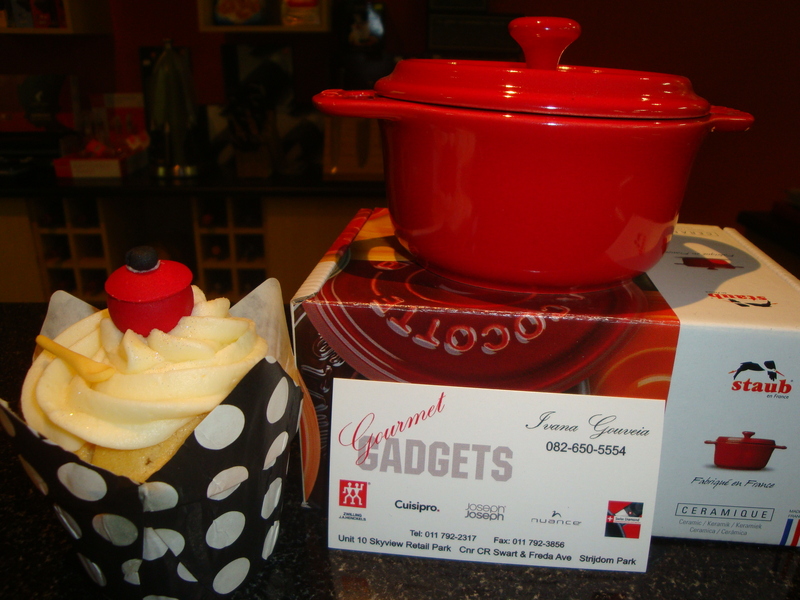 Here is one of the cupcakes photographed with the cutest of the Staub pots. 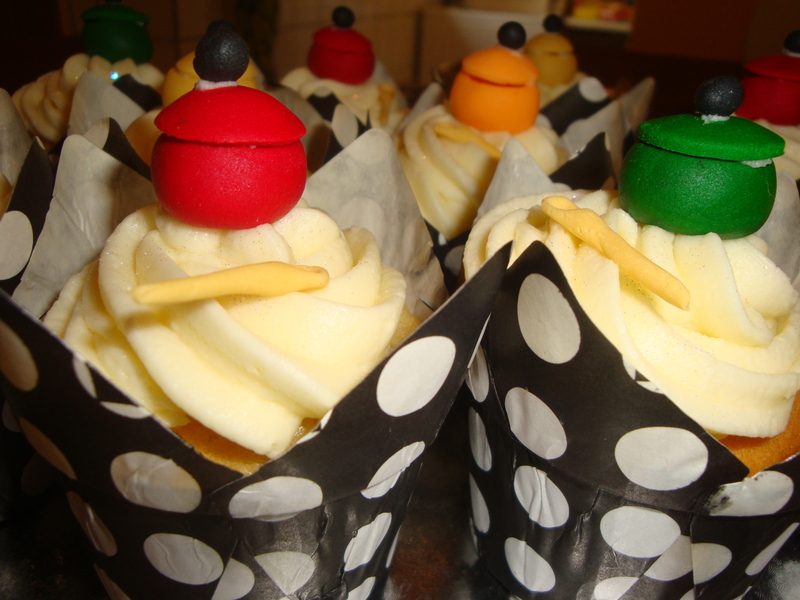 I made little pots for the top of the cupcakes in the colours of some of the Staub pots.